Christina Watka is a very talented and creative lady of many trades. We’re lucky enough to call her our Creative Coordinator here at Poppies & Posies, but her talents don’t stop at the end of our work day. 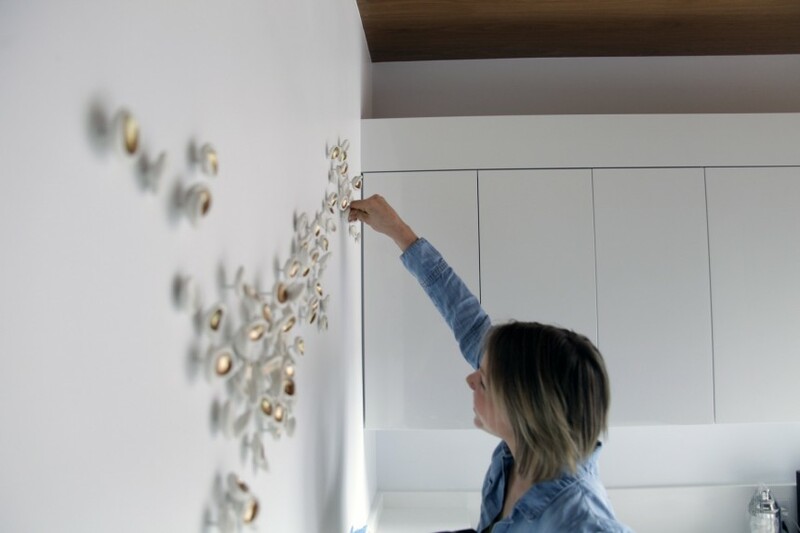 Christina is always pursuing her murmuration projects and has traveled as far as Anguilla to install a project. 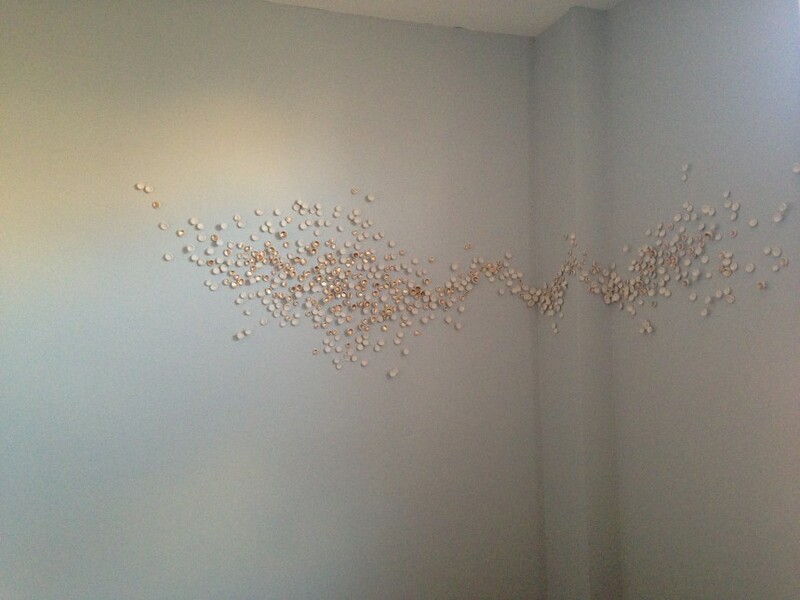 When she agreed to do a custom murmuration in our newly designed nursery we jumped on the opportunity. 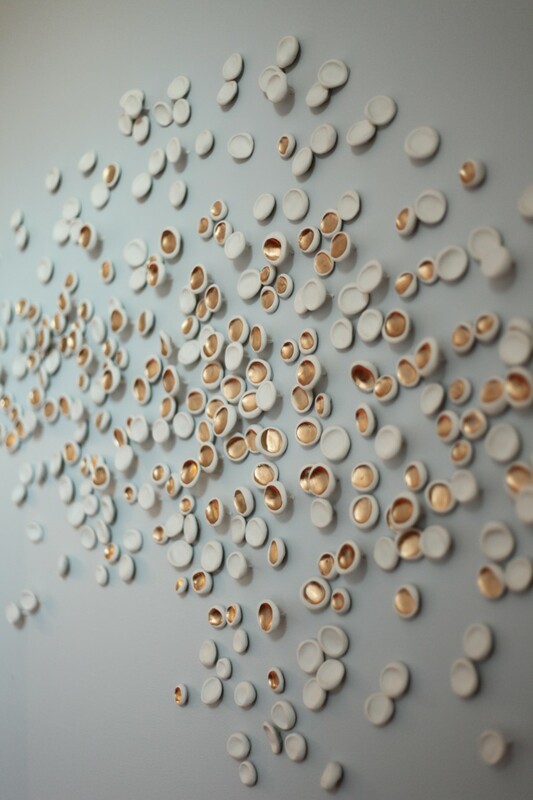 The piece flows from one wall to the next in the most beautifully organic formation. The baby’s crib will eventually live underneath the art installation providing a soothing scene for our little one to stare up at. 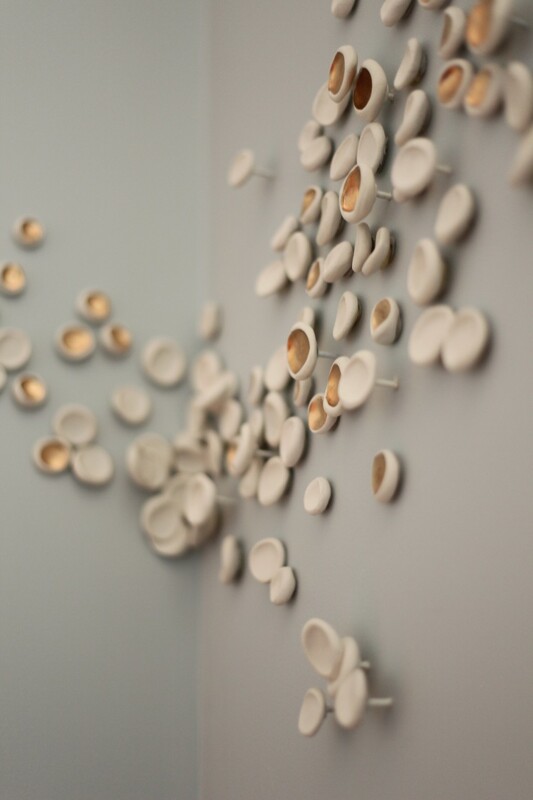 Each piece is hand molded out of porcelain, fired and then hand painted before being attached to the wall’s surface. We just love the metallic tones that Christina chose and how the light reflects off of each one. 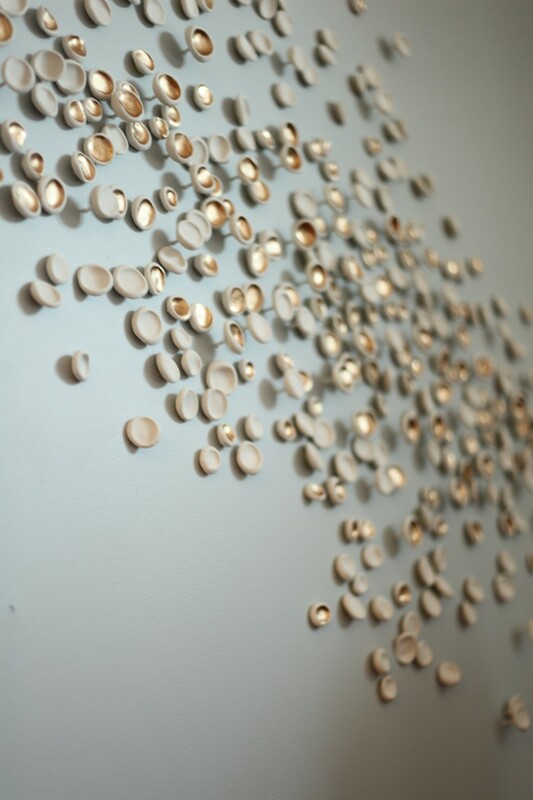 For more information on Christina’s custom art installations and to keep up with her work check her out here!